Do you already have your PCOC Card? Do you boat on Georgian Bay, 30,000 islands? 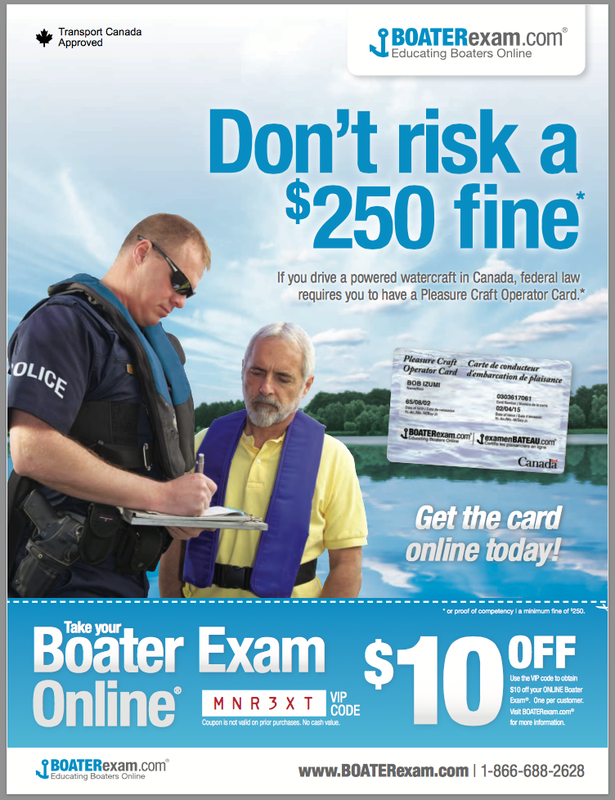 Take our CPS BOATING 2 Course! This Course is the ideal follow-up for boaters who have their PCOC but are interested in expanding their knowledge to areas such as simple coastal navigation, rules of the road, chart work (paper and electronic), anchoring and towing, marlinspike, safety practices and more! If you fall off a boat and use your PFD accidently you have already broken a rule or two. Every lesson you will be given a tip or two on how you and your crew can stay on your boat. Aren’t you in awe of this ad from the Boater Exam people? I found it the other day when looking at the 2014 Ontario Fishing Regulations handbook. Young, strong cop in shades who is a foot taller than the obviously guilty senior boater. It’s a good thing he just wrote him a ticket and didn’t punch him out. Check out the body language. Check out the gun on “the man’s” hip. Wow – don’t take the course to learn anything, or become a safer and more courteous boater, take it to avoid being put in this type of situation. And with the recent reports of police abuses it becomes even more intimidating. At least they didn’t dress this ‘cop’ in a brown shirt. Carrot or stick? The Boater Exam people seem to think the threat of the stick works much better. We don’t offer education, we offer protection. This is using Freudian intimidation in advertising at its best. Or is it at its worst? 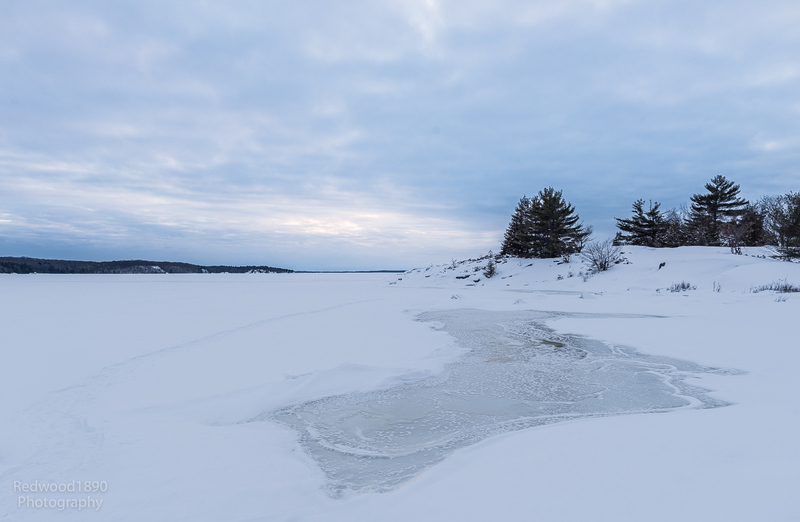 A two evening Marine VHF instruction course with examination will be offered May 12th and 19th, 2015, at Lakeland Long Term Care facility (beside the West Parry Sound District Hospital in Parry Sound). The supplied course materials include a manual and CD covering VHF marine radio use and Digital Selective Calling (DSC). The course will prepare you for the Restricted Operator Certificate (Maritime) and DSC Endorsement exams that will be administered on the second night with temporary licenses issued that evening for people successfully completing the exams. To legally operate a maritime radio as an individual or business you need this certificate. The Maritime Radio course, ROC (M), teaches emergency radio procedures as well as everyday operating techniques. The cost is $75 including course materials with a $10 discount ($65) for Canadian Power and Sail Squadron members.